The Grove is one of 20 clubs in the UK hosting qualifiers for the new World Open. Now everyone has a chance to take place in a ranking event and be drawn against one of the best players in the world! Entry is just £5 and the winner will join 19 other club winners, 12 wildcards and the 96 professional players on this year’s Main Tour. 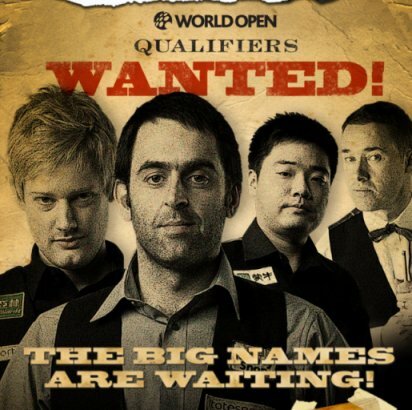 This is a unique opportunity to get to play on one of the world’s biggest snooker stages. You can then send this on to us at 1 Faringdon Grove, Faringdon Avenue, Romford RM3 8TD with a cheque for £5 made payable to “Grove Leisure”.